Come see UT's best in the Tony Award winning musical Rent. 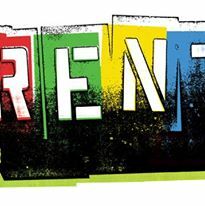 A heart-wrenching story of New York artists trying to survive poverty and a condemning epidemic, Rent opens our eyes to the reality of HIV/AIDS in the nineties artistic community. The show will be held in the Clarence Brown Lab Theatre. Admission is free, but reservations are no longer available. There will be room on the wait-list every night, however, for people who wish to walk up. There will be performances January 30 - February 1 at 8PM and February 1 - 2 at 2:30PM. Email sexweekut@gmail.com with any questions.